An estimated 1,900 patriots gathered at the New York Marriott Marquis on March 2, 2017, for the ninth annual Navy SEAL Foundation New York City Benefit Dinner to recognize the courage, commitment, and sacrifice of U.S. Navy SEAL community and its families. Under the leadership of this year’s Benefit Chairman, Joel S. Marcus, Chairman, Chief Executive Officer and Founder of Alexandria Real Estate Equities, Inc. and Alexandria Venture Investments, the dinner event raised a record-shattering $12.75 million dollars. The evening’s keynote address was delivered by former director of the Central Intelligence Agency (CIA) and U.S. Secretary of Defense, Leon E. Panetta who was introduced by former Commander of Special Operations Command North and Rear Admiral (SEAL), Kerry M. Metz, (Ret.). Secretary Panetta spoke about his personal experience working with the SEAL Teams. TriWest was chosen as this year’s Navy SEAL Patriot Award honoree for its leadership in the active duty and veterans healthcare space. 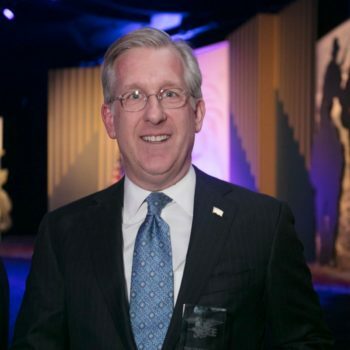 Robin King, the Navy SEAL Foundation’s Chief Executive Officer, along with former SEALs Mark Greene and Alexander Oliver, presented the award to David J. McIntyre Jr., President and CEO of Triwest. He accepted the award on behalf of the company. 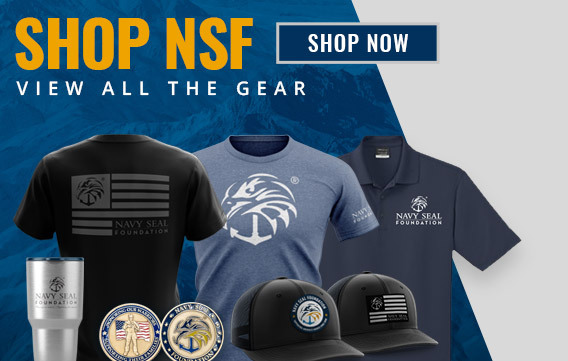 “Ladies and gentlemen, there is not an organization that more effectively leans in for those whom it is charged to support than the Navy SEAL Foundation. And, this organization has few, if any, peers in terms of its commitment, focus, and effectiveness,” said David McIntyre upon accepting the award. The evening also commemorated the 15th anniversary of OPERATION Anaconda, which occurred on March 3, 2002. OPERATION Anaconda, known as the Battle of Takur Ghar, was the opening salvo in the U.S. “War on Terror” and also marked the beginning of operations in Afghanistan for SEALs and the current sustained period of intense work for the Special Operations Forces. OPERATION Anaconda, also known within military circles as the Battle of Roberts’ Ridge, was named after Special Warfare Operator Petty Officer First Class (SEAL) Neil C. Roberts, who was killed in action in OPERATION Anaconda. Joel S. Marcus was joined by Trident Presenting Sponsors that included Alexandria Real Estate Equities, Inc., the Alexandria Real Estate Team, BNBuilders, Barbara and Joel Marcus and TriWest Healthcare Alliance. Co-Chairs included William A. Ackman, AECOM Tishman, BTIG, CBRE/New England, Vanessa and Henry Cornell, Metka and Jack Daly, DPR Construction, Caroline and Ed Hyman, Eugenia and David Janke, Daniel S. Loeb, Nancy and Howard Marks, Michael Muldoon, The Richmond Group, Harvey Schwartz, Cindy and Tom Wagner, Samuel D. Paksal, PhD, Charlotte and Alan Waxman, The Whiting-Turner Contracting Company, Wilmerhale and Zide Family Foundation. The Benefit Host Committee was led by Mark Edgar and Drew Fox, and the Ring Out After Party Host Committee was led by Kevin Coleman and Michael Zapata. The Navy SEAL Foundation supports all active-duty Naval Special Warfare (NSW) personnel, including U.S. Navy SEALs, and their families. They also provide critical programs for NSW Gold Star families and NSW veterans.